The active noise cancellation works very well at keeping ambient noise from intruding, and it significantly improves the sound quality to boot. I am a stong advocate for protecting your hearing from noise-induced hearing loss (NIHL). This is a bigger problem today than ever before, especially since so many people listen to music from their portable devices on headphones, often cranking the volume to unsafe levels. 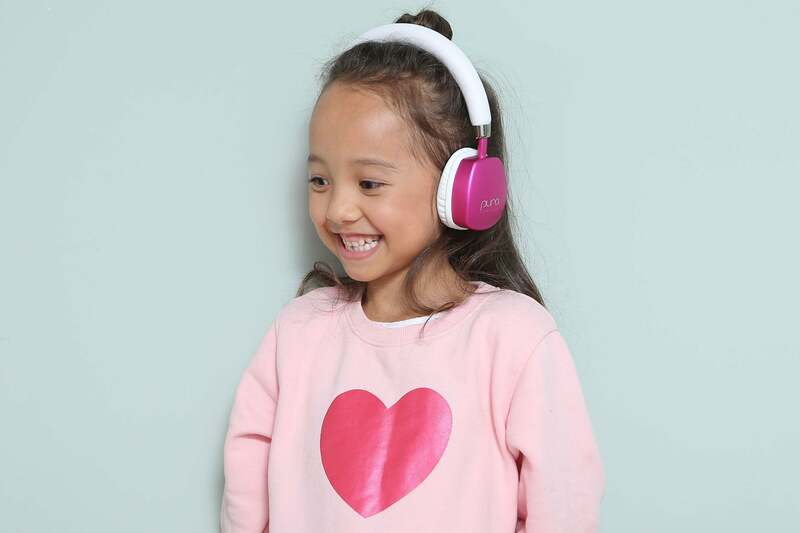 Electronics specialist Dave Russell became concerned when his young daughter started suffering from NIHL because she was listening to music on headphones at high levels for long periods of time. He founded Puro Sound Labs to develop high-quality headphones for kids that help protect their hearing. Two years ago, TechHive reviewed Puro Sound’s previous models, the BT2200 for kids and BT5200 for adults. 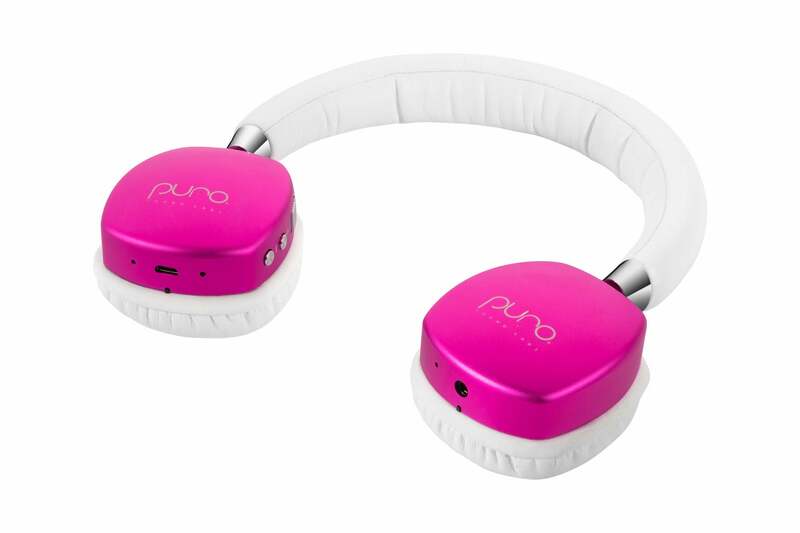 Now, Puro Sound has introduced a new model, the PuroQuiet, which adds active noise cancellation (ANC). Can it help stem the tide of NIHL in kids? I was eager to find out. The PuroQuiet is an on-ear headphone—that is, the earcups sit on the ears rather than around them, though I suppose they might fit around a small child’s ears. The earpads and headband are wrapped in what the Puro Sound website calls “protein leather,” and they weigh just under six ounces, which is very lightweight. The PuroQuiet has a complex structure, as seen in this exploded view. Sound is reproduced by 40mm dynamic drivers with neodymium magnets aided by a Qualcomm CSR 8635 DSP (digital signal processing) chipset. Frequency response is specified from 20Hz to 20kHz (no tolerance given). The primary audio input is Bluetooth 4.0 from any compatible source device. Supported profiles include A2DP, AVRCP, HFP, and HSP (aptX is not supported, despite the Qualcomm chip). A 3.5mm two-channel analog-audio jack is also available on the bottom of the right earcup. If the battery dies, you can connect a source device to the headphone with the included cable (or any 3.5mm audio cable) and continue enjoying your tunes. The PuroQuiet approaches hearing protection in three ways. 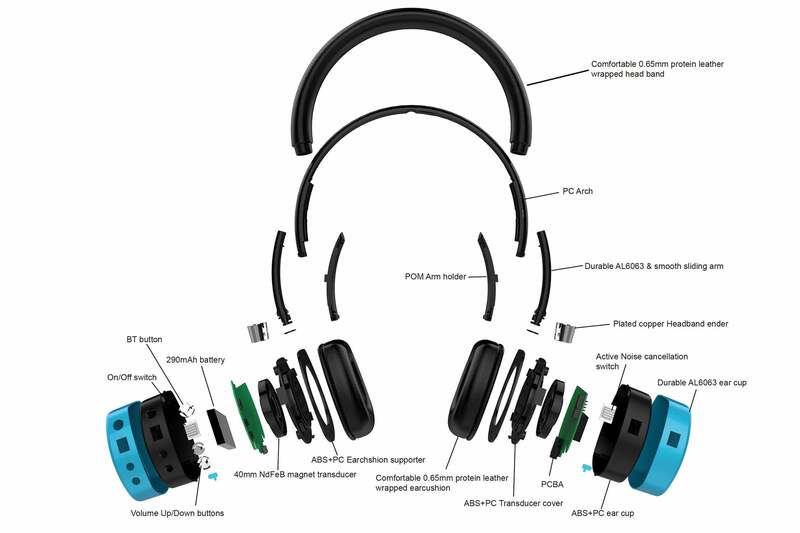 First, the company claims 82 percent passive noise isolation at 1kHz simply by wearing the headphone. This seems quite high to me, especially for on-ear headphones. Most of the company’s materials mention 82 percent noise isolation without specifying the frequency, which seems a bit misleading. In response to my queries about this, the company informed me that the isolation factor increases with frequency. It’s relatively flat from about 300Hz to roughly 2kHz, and it increases dramatically above that. There is not much isolation below 300Hz, as seen in the graph below. 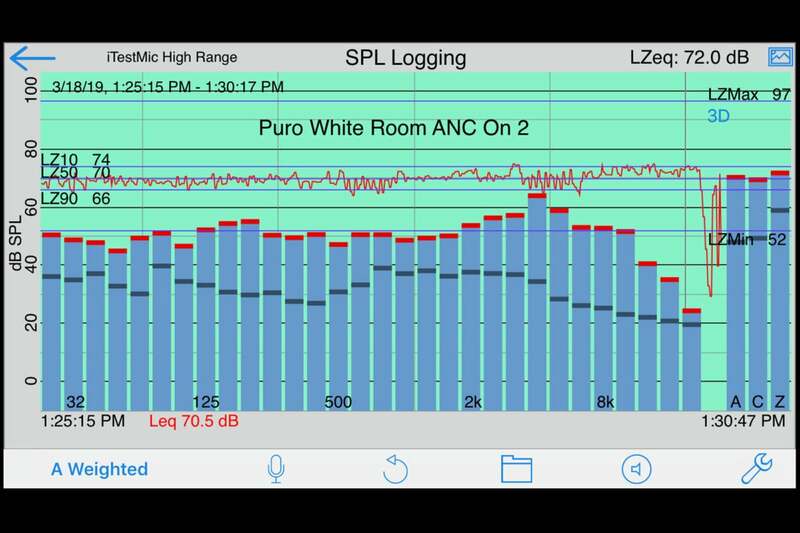 According to Puro Sound Labs testing, ANC (red line) reduces ambient noise levels by 18-22dB below 500Hz. Passive isolation (green line) increases with frequency, from about 10dB at 200Hz to more than 50dB at 10kHz. This graph is only an estimation based on extensive measurements. Also, like the company’s BT2200 and BT5200, the sound pressure level is said to be limited to 85dB, which is generally accepted as the maximum safe level for long-term exposure (eight hours, according to the Hearing Health Foundation). Puro Sound does not specify if this limit is expressed in A-weighted decibels (dBA), flat (dBZ), or some other weighting, and I did not get an answer to this question by the time I needed to turn in the review. I suspect it’s dBZ, though the OSHA and commercial-cinema standards specify an average level of 85dBA for eight hours—which means that the momentary level can exceed 85dBA provided the average over eight hours doesn’t go above that level. Whatever the weighting, 85dB is still too high in my opinion, but that’s just me—and my 30 years of experience researching this topic. 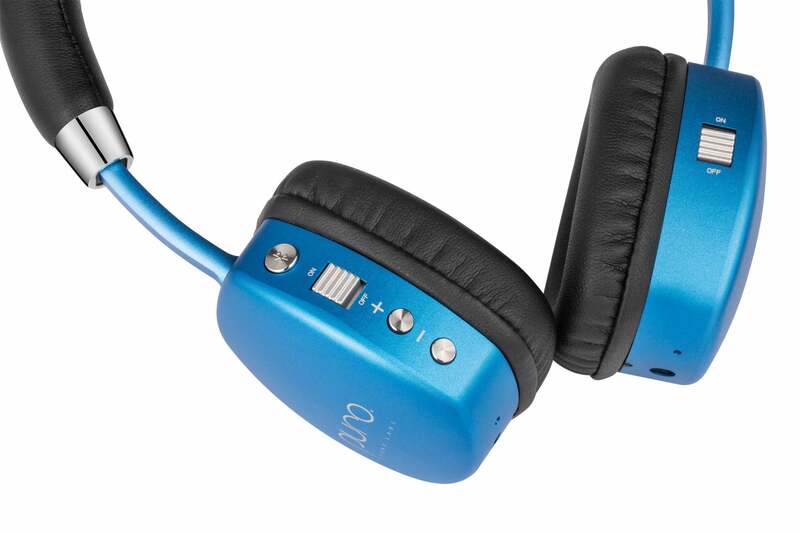 Finally, the PuroQuiet integrates active noise cancellation, which inverts the phase of sound picked up by a single microphone in the headphone and mixes it with the unaltered sound, thereby reducing the perceived level thanks to phase cancellation. The idea is this: If the ambient noise level is reduced, users can drop the volume and still have an enjoyable listening experience while subjecting their hearing to lower levels overall. 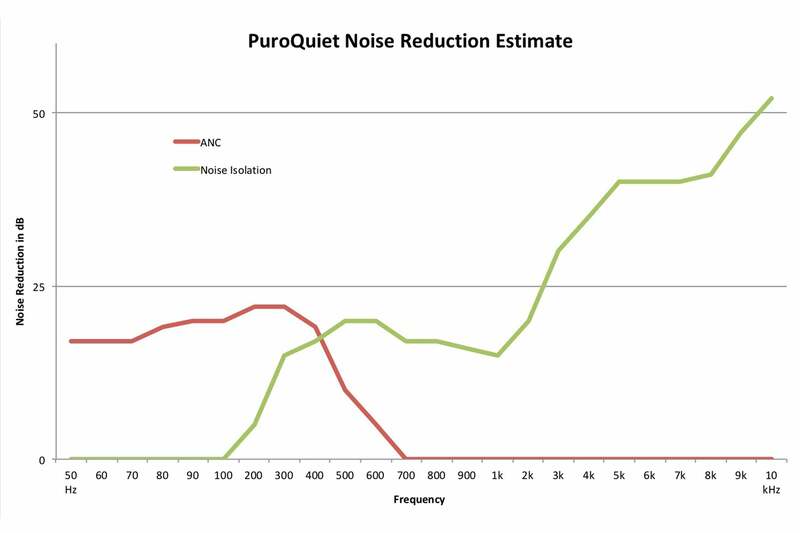 The PuroQuiet ANC is said to provide 22dB of noise reduction below about 500Hz, where most steady-state ambient noise exists. The effectiveness of ANC starts rolling off above 500Hz, and it’s completely ineffective above 700Hz or so, as seen in the following graph. Of course, such technology requires a battery. The PuroQuiet’s 290 mAh battery charges in about three hours and provides power for 16 hours with ANC engaged or 22 hours without ANC. As with most wireless headphones, the PuroQuiet also functions as a phone headset; a second microphone is built into the unit to serve that function. A single multifunction button lets you answer, reject, and hang up calls on the paired phone. You can even transfer calls from the headphone to the phone and back again. Naturally, the music pauses during a call. Most of the controls are found on the back of the left earcup, and they are simple enough for a child to operate. They include the aforementioned multifunction button, a power on/off slider, and separate volume up and down buttons. Aside from its phone duties, the multifunction button initiates Bluetooth pairing as well as starting and pausing playback. There is no skip forward/backward control. The back of the right earcup has a slider that turns ANC on and off. Most of the controls are found on the back of the left earcup, including the multifunction/Bluetooth button, power on/off, and volume up and down. The ANC on/off slider is on the back of the right earcup. A micro-USB port on the bottom of the left earcup lets you charge the battery by connecting the port to a USB power source (5V, 2A), and the PuroQuiet comes with an appropriate cable. An LED next to the micro-USB port indicates the charging and Bluetooth status. The 3.5mm input is on the bottom of the right earcup along with another LED that indicates ANC status. 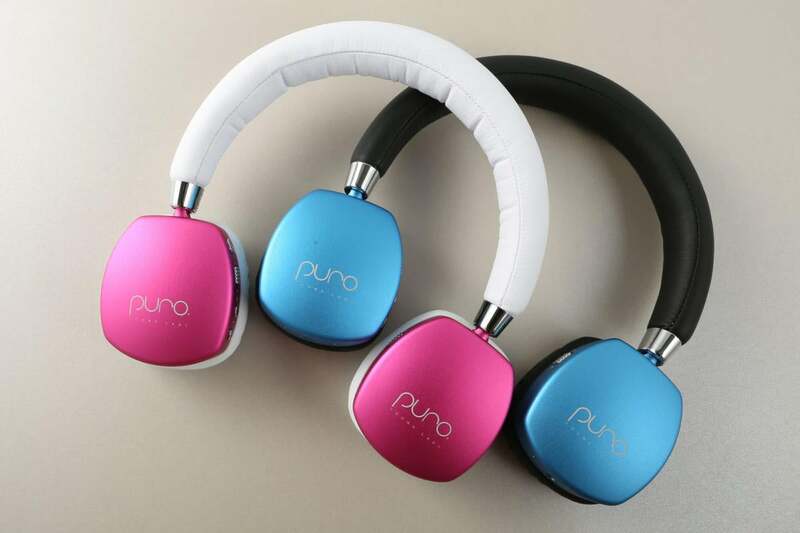 Puro Sound touts the durable construction of the PuroQuiet, which uses AL6063 aluminum for its outer casing and headband extenders. It seems quite sturdy to me, but on my sample, the micro-USB port was not well aligned with its hole in the outer casing, making it a bit difficult to insert the connector for charging. That could be a problem for small, impatient fingers. Pairing the PuroQuiet to my iPad went without a hitch. When I first put the headphone on, it felt very tight on my head. Granted, it’s intended for kids, though the website says “The suggested age range of using PuroQuiet is from 2 to 92 years old.” Also, my head is quite large in the physical sense—I wear a 7 3/4 hat size. As a result, I found this headphone to be fairly uncomfortable for long listening sessions, but that shouldn’t be a problem for those with smaller heads. Although Puro Sound Labs says people of any age can use these headphones, people with large heads might find them uncomfortable (they shouldn’t be a problem for kids, of course). I started my listening with “Green Instrument” from the album Seed by world-trance artist Afro Celts. The instrumentation is mostly synthesizers with electric bass, percussion, and Irish flute. Without ANC, the sound was quite thick and closed in; engaging ANC, the sound opened up considerably, with a much clearer midrange, airy highs, and less boomy bass. Also, the overall level seemed to increase a bit at the same volume setting. From a different part of the world, I listened to Itzhak Perlman and the Klezmatics play “Golem Tants” from Live in the Fiddler’s House. This lively Klezmer music—the folk music of Eastern European Jews—includes violin, clarinet, trumpet, bass clarinet, piano, and electric bass. My experience with and without ANC were much the same as before: congested sound that lacked midrange without ANC; much cleaner and well-balanced sound with ANC. Turning to pop/rock, I listened to Fleetwood Mac’s “Little Lies” from their Greatest Hits album. Without ANC, the lead and background vocals were obscure, and the sound felt clogged, as though I was listening through a tube. With ANC engaged, the sound opened up dramatically and seemed a bit louder. In the classical genre, I sampled the Bizet opera Les Pecheurs de Perles; specifically, Amis, Interrompez vos Danses from Act 1 as performed by the Paris Opera Orchestra and Chorus under the direction of Georges Pretre. Once again, the difference between ANC on and off was obvious. Without it, the sound was very closed in and the soloists were obscured. Turning ANC on, the sound opened up significantly and the solos were much clearer. As I was listening to music from my cell phone, I asked my wife to call. The music paused and I pushed the multifunction button to answer the call, which worked exactly as expected. My wife reported that my voice had a tinny, metallic character, but my speech was entirely intelligible. Her voice sounded a bit thin in the headphone, but we could carry on a conversation with no problem. The earcups fold flat to fit in the included hard-shell case. 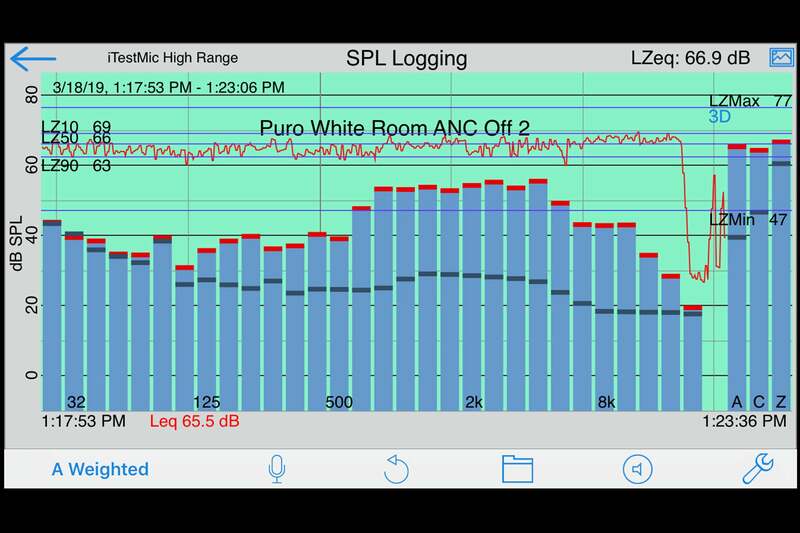 I was interested in testing Puro Sound’s claim that the PuroQuiet limits the output level to no more than 85dB SPL. Also, I wanted to objectively examine the effect of ANC. So, I pulled out my calibrated measurement microphone (an iTestMic), which is designed to work with the AudioTools iOS app from Studio Six Digital. I used the SPL Graph module within AudioTools on my iPhone 6. The module measures SPL over time and provides various metrics, including Leq (average RMS level over the entire length of the measurement), Lmax (maximum 1-second RMS level during the measurement), L50 (RMS level exceeded 50% of the time during the measurement), L10 (RMS level exceeded 10 percent of the time during the measurement), and L01 (RMS level exceeded 1 percent of the time during the measurement). For the test material, I selected “White Room” by Cream, played from the same iPad I had used for most of my listening. I cranked the volume to maximum and played the tune twice—once with ANC off and again with ANC on—while pointing the microphone directly into the center of the right earcup. The mic has a windscreen, so I let it rest on the inner surface of the earcup. With ANC off, Leq was 65.5dBA (A-weighted) and 66.9dBZ (flat). Lmax was 76.7dBZ, and L01 was 71.6dBZ. In other words, the maximum 1-second level was only 76.7dBZ, and the level exceeded 71.6dBZ only 1 percent of the time. That is all well below the 85dBZ limit. Turning ANC on, Leq was 70.5dBA and 72.0dBZ, Lmax was 96.8dBZ, and L01 was 77.7dBZ. Obviously, the level was higher with ANC engaged, and Lmax exceeded 85dBZ by more than 10 dB! That was only for one second, however, and the level remained well below 85dBZ more than 99 percent of the time. In addition to measuring SPL metrics, the SPL Graph module also provides an RTA (real-time analyzer) with 1/3-octave bands. As you can see in the following screen shots from the app, there is a distinct drop in the low midrange with ANC off, while the spectrum is much more balanced with ANC on, confirming my subjective impressions. Of course, these graphics are only a snapshot of one moment; the spectrum varied over time. But the RTA revealed these general spectral shapes throughout the measurement. With ANC off, the low midrange is somewhat deficient, confirming my sense that the sound was lacking in that region. With ANC on, the overall spectral balance was much better, resulting in a cleaner, clearer sound. Also, the level was higher overall than with ANC off at a given volume setting. For my final test, I drove around my neighborhood while wearing the PuroQuiet—keeping a sharp eye out for cops! I turned ANC on and off as I listened to music and with no music. The noise-cancelling function worked very well, greatly reducing the level of engine noise. As before, the sound quality was much better with ANC on. I also checked ANC in a quiet room with no music. It exhibited a slight hiss, but that is not a problem in a noisy environment. I applaud Puro Sound Labs for its dedication to protecting children’s hearing. The PuroQuiet headphone is a worthy testament to that dedication, providing three-way protection: passive isolation, volume limiting, and active noise cancellation. In my tests, the level never got close to 85dBZ with the volume maxed out and ANC turned off, but it did momentarily exceed that level with ANC on. Still, the level remained well below 85dBZ more than 99 percent of the time, so I don’t think that momentary peak is a big deal. Overall, the level remained well within the safe zone during my listening. The ANC works very well at reducing the level of low-frequency ambient noise, and it also significantly improves the sound quality—in fact, I recommend listening with ANC on all the time, even in quiet environments. Of course, that also reduces the battery life, but it’s still pretty impressive at 16 hours. Also, the overall level with ANC on is somewhat higher than when it’s off, so you can back off the volume control to protect your hearing even more. Although the Puro Sound Labs website says the PuroQuiet is meant for ages 2 to 92, I found the headphone too small for comfort on my (admittedly large) head. But this should be no problem at all for children. The list price of $199.99 is pretty high, but the build quality is solid, which is important for careless kids. Even better, the PuroQuiet is selling for $149.99 on the Puro Sound website for a limited time. (They won’t tell me when that price will go back up to full list.) Either way, it’s a relatively small price to pay for the peace of mind knowing that you’re protecting your kids’ hearing.